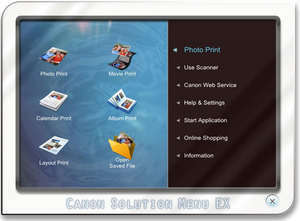 Canon Solution Menu will enable you to quickly get help for your products and view the documentation for each of them right from your desktop, without having to manually search it on the Internet. For security reasons, you should also check out the Canon Solution Menu download at LO4D.com which includes virus and malware tests. Additional screenshots of this application download may be available, too.